The life breath flowing with the elements, up and down, in and through all tissues, establishes gravity balance from the center to the circumference. 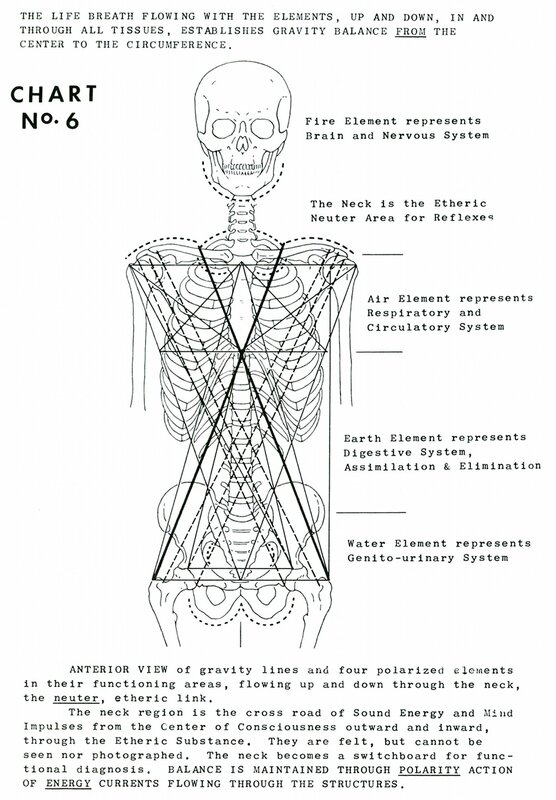 Anterior view of gravity lines and four polarized elements in their functioning areas, flowing up and down through the neck, the neuter [neutral], etheric link. 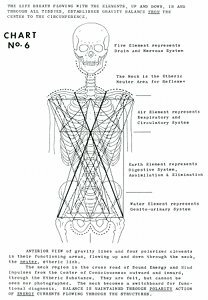 The neck region is the cross road of sound energy and mind impulses from the center of consciousness outward and inward, through the etheric substance. They are felt, but cannot be seen nor photographed. The neck becomes a switchboard for functional diagnosis. 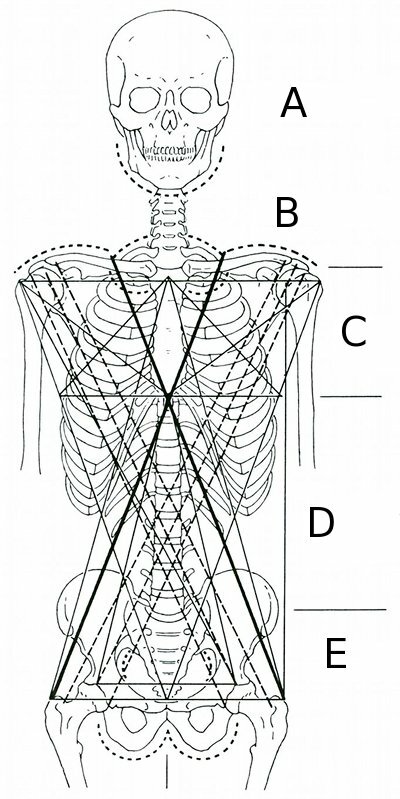 Balance is maintained through polarity action of energy currents flowing through the structures. Book 1, "Explanation of Chart No. 6"